Piece by piece, players try to build on their board skilfully. But mind the gap! And if a piece does not fit perfectly, slot it in as best you can. The game is not yet over and the next piece will surely fit better, won’t it? 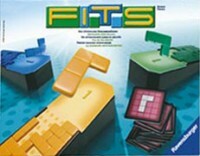 FITS is rapidly played, and with just a few rules offers lots of entertainment – non-stop stop-gap playing fun! 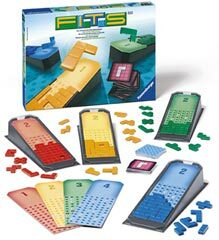 Add a Review for "FITS"